The Chesapeake Bay TMDL Action Plan submitted by the City of Richmond last October as part of its responsibilities toward reducing stormwater impacts on the Bay. It is the relationships between all of these federal, state, and local programs that ultimately brought us the ill-advised stream restoration proposal for Reedy Creek. Here we provide basic background information. 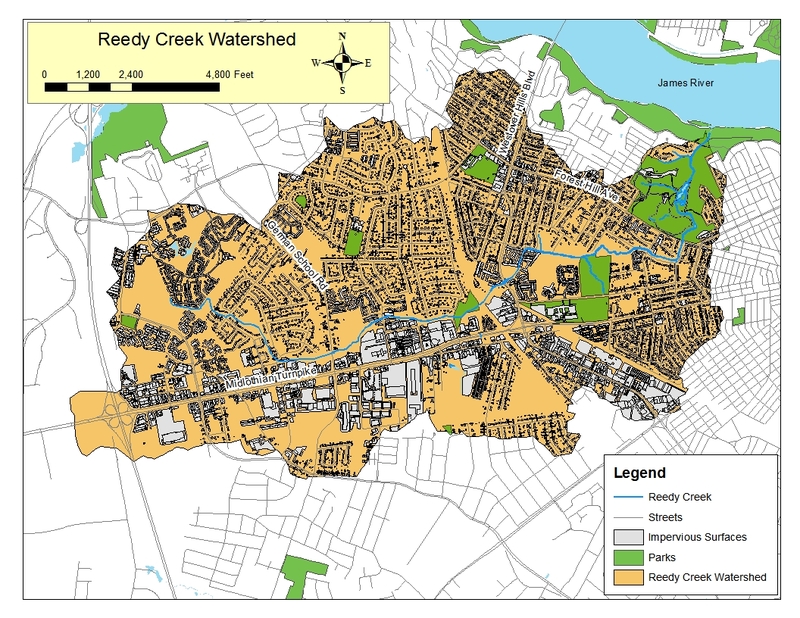 In subsequent posts, we will provide a critique of some of these government programs and actions that led to the proposed Reedy Creek stream restoration project despite the lack of rudimentary planning. The Chesapeake Bay TMDL is often referred to as the “pollution diet” for the Chesapeake Bay. This document was produced by EPA in late 2010 and established how much pollution can enter the Bay per year and still meet water quality goals. (EPA took on the task of writing this document only after decades of efforts by the individual states failed to make sufficient progress toward restoring the Bay.) The three pollutants of concern are phosphorous, nitrogen, and sediment. Phosphorous and nitrogen are plant nutrients that cause algal blooms. Excess sediment blocks sunlight and limits the growth of underwater grasses that are critical nursery grounds for fish, crabs, and other aquatic life. The pollution diet provides specific numbers for the amount of each pollutant that can enter the Bay per year (e.g. 185.9 million pounds of nitrogen/year). The numbers are broken down further into how big the loads can be from each major tributary like the James River. The other critical part of the Chesapeake Bay TMDL uses a combination of real data and modeling to estimate the current loads entering the Chesapeake Bay from each major tributary. By comparing the current loads with the pollution diet goals, it then becomes possible to determine how much work needs to be done. That is, how much does the current load of a pollutant need to be reduced to meet water quality goals? The answer is that a 24% reduction in phosphorous, a 25% reduction in nitrogen, and a 20% reduction in sediment will be required to meet the goals of the Chesapeake Bay restoration. Once the Chesapeake Bay TMDL was finished, it was then left up to each state (and District of Columbia) to devise its own watershed implementation plans (WIP) in three phases. Virginia’s Phase I WIP was submitted to EPA in 2010 and the Phase II WIP was submitted in 2012. The Phase II WIP provides specific detail about how the pollution diet will be met in each major tributary of each state. This includes partitioning responsibility for pollution reductions among different sectors such as agriculture, urban/suburban stormwater, and point sources such as wastewater treatment plants. With regard to stormwater, the specific details of implementation were left to each local government with oversight from state government and ultimately EPA. That leads us to the City of Richmond Chesapeake Bay TMDL Action Plan. Richmond is somewhat unique among local governments in Virginia because stormwater is handled by two distinctively different systems. In the older parts of the city, much of the stormwater is collected along with sanitary waste in a single Combined Sewer System (CSS). In newer parts of the city, stormwater is collected separately from sanitary waste in a Municipal Separate Storm Sewer System (MS4). Each locality that handles stormwater with MS4 infrastructure is required to obtain a permit from the Virginia Department of Environmental Quality (DEQ) which is renewed every 5 years. Starting with the permit for 2013-2018, the City of Richmond (as well as other MS4 localities in the Chesapeake Bay watershed) was required to produce a Chesapeake Bay TMDL Action Plan in which specific details are provided about how the city would reduce pollutants. In the first 5-year permit cycle, only 5% of the total reductions in nitrogen, phosphorous, and sediment have to be met. For phosphorous, that means the MS4 discharges in Richmond must be reduced by 136 pounds/year by 2018. During the next 5-year permit cycle, the city must meet 35% of its total reduction goals. And in the ensuing 5 years, the remaining 65% in reductions must be accomplished. The Chesapeake Bay Program (CBP) provides a long menu of best-management practices (BMPs) that can be used to meet pollution reduction goals. A few examples of urban BMPs include stream restoration, bioretention/rain gardens, dry ponds, tree planting, permeable pavement, and rain water harvesting. The CBP has established standardized procedures to calculate the amount of reduction in phosphorous, nitrogen, and sediment accomplished with each BMP installed. Despite the long menu of options available to receive TMDL reduction credits, the City of Richmond Chesapeake Bay TMDL Action Plan relies almost entirely on 5 stream restoration projects to meet its 5% reduction goals by 2018. The next section explains why the city embarked on this particular strategy. The first attempt at establishing the rate of nutrient removal for urban stream restoration occurred in 2003 and was based on data from a single site in Baltimore County. Subsequently, the CBP formed an expert panel to review new data and revise the amount of TMDL credit for urban stream restoration. The key outcome is that the panel recommended a new “default rate” that dramatically increases the TMDL credits available for urban stream restoration. The credit for phosphorous removal increased by nearly 20-fold, nitrogen credit increased by approximately 4-fold, and sediment credit increased by nearly 18-fold. Suddenly, stream restoration went from a moderately expensive practice to one of the most cost-effective approaches to meet the reductions in nutrients and sediment required by the Chesapeake Bay TMDL. The changes made by the expert panel are the clear driver for the City of Richmond’s strategy of relying almost solely on stream restoration to meet Chesapeake Bay goals. As we will describe in a later post, the expert panel did the best it could with a very limited data set. The new “default rate” was based on data from only six intensively studied stream restoration projects and none of them were in Virginia. Furthermore, the expert panel made repeated recommendations about the importance of comprehensive watershed planning – recommendations that the City of Richmond has ignored. SLAF is a grant program established by the Virginia General Assembly to assist local governments in meeting their obligations under the Chesapeake Bay TMDL. SLAF is designed to fund large-scale stormwater projects with total costs between $200,000 and $10 million. The locality must pay 50% of the costs while SLAF provides the other 50%. 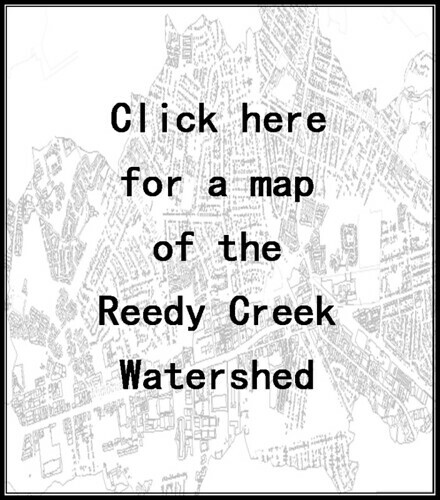 In the case of the proposed Reedy Creek stream restoration project, the city received a grant for $635,000. The city also received SLAF grant money for other proposed stream restorations in its Chesapeake Bay TMDL Action Plan. As described later, we believe there are serious, systemic flaws in the SLAF program that has allowed dubious projects to receive funding. 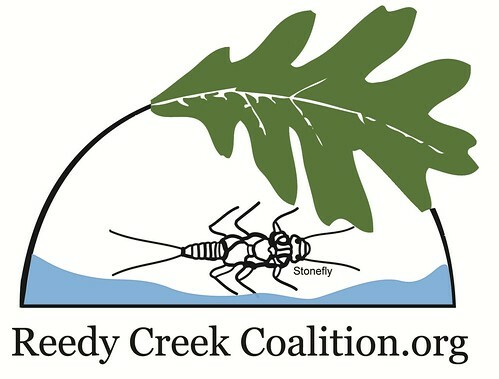 The proposed Reedy Creek stream restoration project is the poster child for a flawed, wasteful government program. The Chesapeake Bay TMDL set the overall reductions in nutrients and sediment required to restore the Chesapeake Bay. Then the Virginia Watershed Implementation Plans provided local governments with the level of reductions required from their MS4 stormwater discharges. The Chesapeake Bay Program assembled expert panels to determine how much TMDL credit local government should receive for various practices such as stream restoration, bioretention, tree planting, etc. The expert panel on stream restoration dramatically increased the credits available for stream restoration which then led the City of Richmond to rely almost solely on stream restoration projects to meet its obligations under the Chesapeake Bay TMDL. The city was further encouraged to rely on stream restoration projects because it received SLAF grant money for these projects. In future posts, we will provide a detailed critique of these government programs and actions which have enabled a very poor stream restoration project in Reedy Creek to gain traction.